For summertime reading lists I tend to enjoy more fiction than non-fiction, and try to mix in at least one humorous book and one juicy crime novel. Ideally I’d be reading from a hammock on the beach, but that’s pretty far-fetched and most of my reading takes place in bed after putting the kids down for the night. I strongly recommend The Breakdown by B.A. Paris., which is a psychological thriller in every sense of the words. My favorite part of the book is how the main character, Cass, is struggling to understand whether she is seeing signs of early onset dementia, is seeing signs of madness (as she and the other main character Matthew discuss in a seemingly joking way), or whether it is a mix of guilt and a dangerous situation. Books are so much more interesting when characters aren’t 100% confident in themselves and even get lost in their own heads a bit, as we all tend to do. It reminds me of a favorite book of mine from years back was Motherless Brooklyn, where the protagonist suffers from Tourette syndrome. Then there’s the very different story in the movie Momento, where one’s mind can play tricks on them and alter their reality. The setting of The Breakdown by B.A. Paris book was a well painted picture in my head, especially with Cass having discussions about how isolated her house is. Ever since I saw The Shining I am spooked out by movies and especially books where there’s nobody close by to hear a cry for help or to rescue you. I love this genre and find thrillers taking place in a wooded English countryside to be absolutely perfect. When you watch a great thriller movie you don’t want to stop in the middle of it, it’s just too intense. This book is very much the same, so don’t be surprised if you read it all in one day. 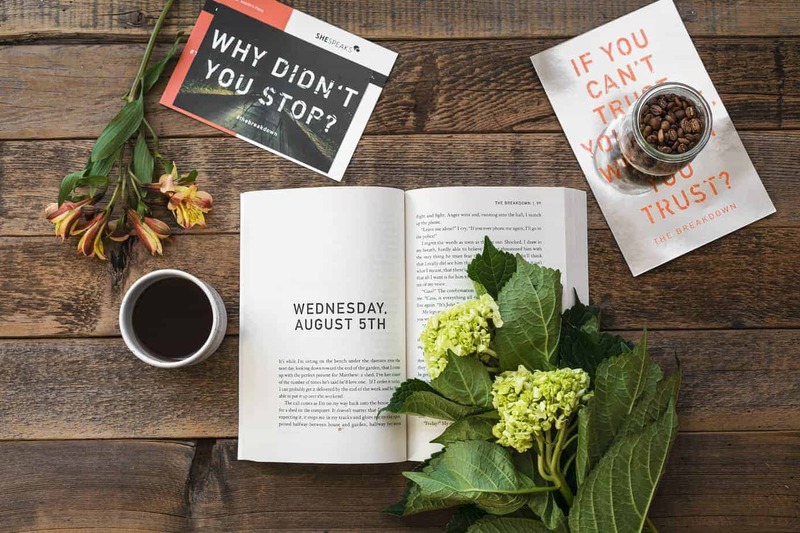 The chapters are written as dates in big bold letters, with most intense coming towards the end of the book (no spoiler here, but the chapter Tuesday, September 29th blew my mind!). I enjoyed the writing style of B.A. Paris and am now curious to also read Behind Closed Doors. How she comes up with these stories is beyond me, very smart and enthralling. I was able to figure out to some extent what was going on, but was pretty far off in my guess as to how it would end. Of the different books I’ve read this year I’d say that this is the first that I could recommend to all of the adults in my family. 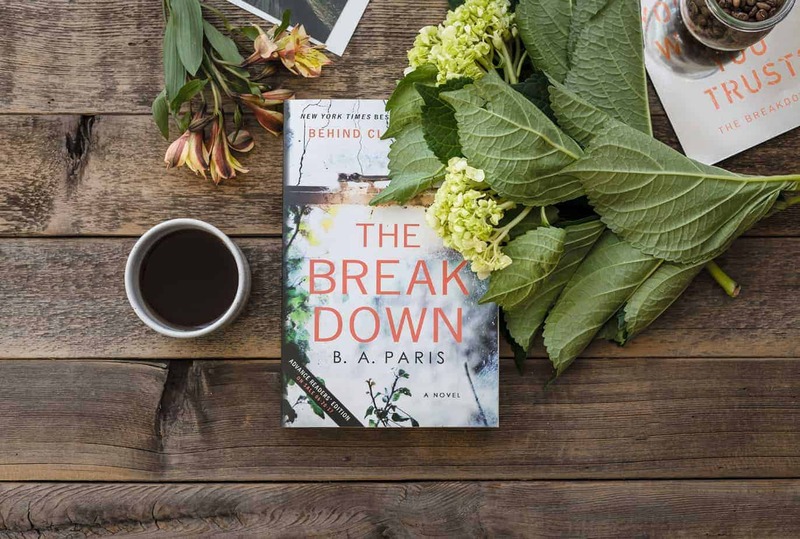 Even my husband would enjoy this one; he loves Chuck Palahniuk and The Breakdown has enough surprises and introspective puzzles going on to even keep him happy. On a personal note, dementia and Parkinson’s run in my family. In some ways this book helped me to realize that I need to continually analyze myself, and to have my guard up. 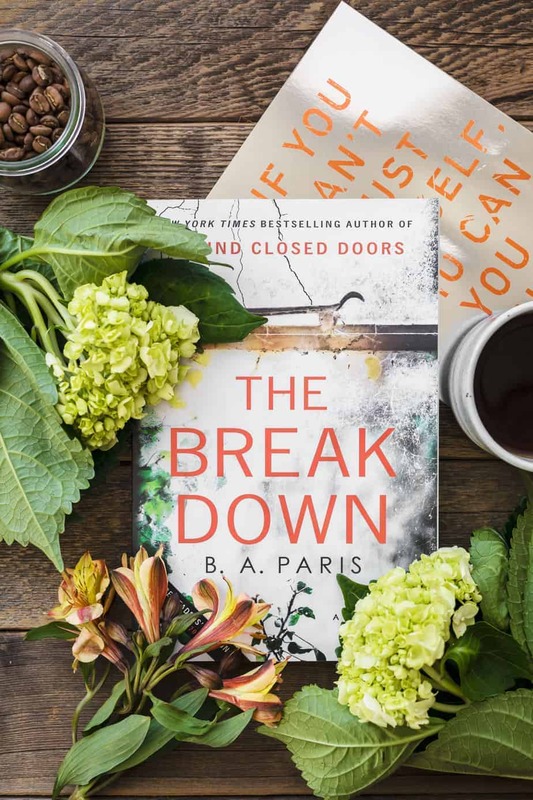 Don’t forget to join the SheSpeaks’ #TheBreakdown Twitter Party on July 18 at 1pm ET. Chat with the author & other book lovers about summer reading and the book of course! Participants will have the chance to win prize packs which include copies of the book and other goodies. Participants must RSVP to be eligible to win. RSVP here!